Fr. Ilie Lacatusu (†1983) was born on December 8, 1909 in the village of Crapaturile, Valcea, Romania. He was the second child of seven in his family. They were simple country people, but had strong faith in God. His father was a Church singer, and this fact played an vital role in bringing the future Fr. Ilie closer to the Church, while he was still in his early years. Following his conscience, after he finished school, he went to the "St. Nicholas" Theological Seminary, from which he graduated with Honors (1923-1930). He then enrolled in the Bucharest Theological Faculty (1930-1934). On July 5, 1931 he married Ekaterina Popescu, a Romanian teacher. 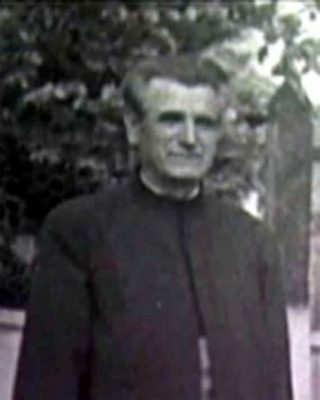 He was ordained priest in September 1934, serving in the Osica de Jos parish, of the Caracal district, and then in the village of Buicesti, Valcea. For the years to come the life of Fr. Ilie would flow quietly, as he took care of his family. Together with his wife, they had 5 children. In 1952 a wave of communist arrests among the priests sent Fr. Ilie to a forced labor camp, at one of the biggest Romanian construction projects at that time. 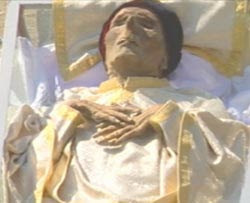 Within a year, because of the deterioration in his health, he was moved to Targu-Ocna. We must say that compared with the Pitesti jail where there were many victims among the prisoners, the religious life in the Targu-Ocna jail reached high levels of spiritual enrichment. This was due to the extreme sufferings and the difficult, harsh and oppressive times in the communist jail. But for the strong ones, these conditions were good for prayer, good for getting themselves closer to God. During this time, Fr. Ilie also helped the other prisoners - this would be a period of intense spiritual enrichment for him. He was released in 1954, but in 1959 the communist persecution apprehended him once again and sent him to another forced labor camp, this time to the Periprava camp. His health continued to deteriorate. During the 1959-1964 period he was forced to stay in Bolintin, where he was obliged to work as a brick mason. He would serve the Holy Liturgy again in 1965 in the villages of Gardesti, Teleorman and Rasuceni, Ilfov. Retiring in 1978, he said later that if he did not die by July 22 in 1983 then he would live another two years. 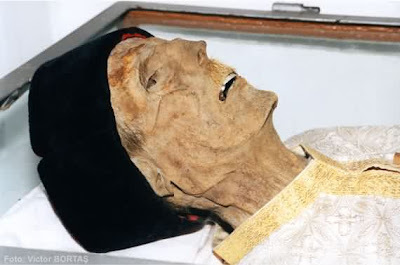 However he reposed on July 22, 1983 exactly, after asking his loved ones to bury his wife next to him in the cemetery, if she passes away 15 years later. And indeed, 15 years later his wife would pass away! It was September 22, 1998 when the grave of Fr. Ilie was opened and his body was to be found incorrupt, with the scent of myrrh permeating the area. 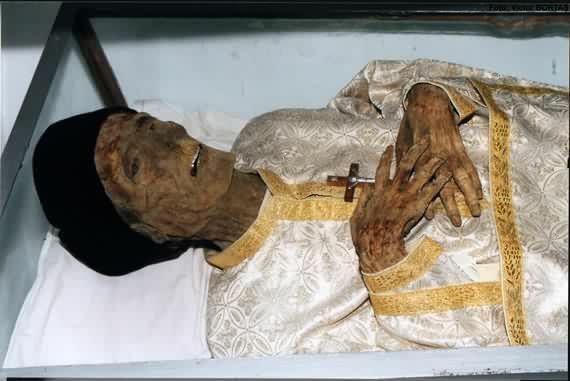 The news quickly spread throughout the region and many came to venerate his holy relics, both faithful and clergy, and all await the day of his official canonization. Fr. 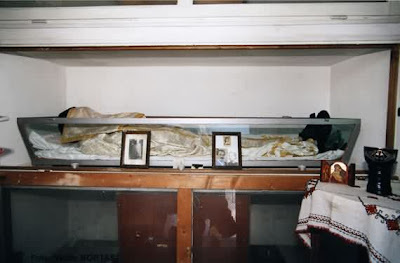 Ilia's incorrupt relics rest today in the Chapel of the Dormition of the Theotokos in Giuleşti, Bucharest.